This summer I was blessed with the opportunity to study abroad in the lovely town of Leipzig, Germany. 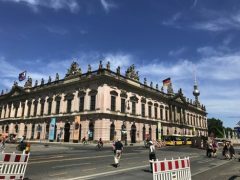 I did not know very much about Germany, but I chose the trip over other locations because of the ease of travel across Europe from the centralized location of this country. Little did I know how much I would fall in love with Germany, its history, and its culture. A summer in Europe will certainly provide one with many memories to cherish, however some days naturally stand out in my memory more than others. 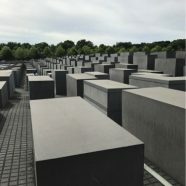 I will write about one day traveling in Berlin that especially stands out in my memory as from this day I learned a great deal about the capital of a country that holds a great deal of history. In a Prussian Armory built in 1701, stands the Museum of German History. Curated to allow the viewer to walk through time, it is laid out chronologically and begins its history not long after the time of Jesus. The visitor is able to walk through and read about the history of this time and as time moves forward. This was fascinating to me! I was able to pick up a chain- mail armor and see artifacts that brought the history to life. One part of this museum that blew me away was the section on the Protestant Reform ation. There were old posters, printing presses, Bibles, and paintings that let the viewer have a better understanding of how the Reformation occurred and what life at the time would have been like. After completing the upstairs tour which covered history until the first world war, it was time to head downstairs to learn about WW1 to modern day. To be entirely honest, I have never been one to get excited about the topic of the world wars, however this was one of my favorite exhibits that I got to see in Europe. The sheer volume of posters, drafts, uniforms, etc. 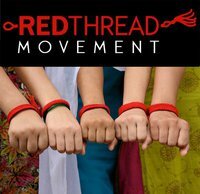 reinforced how recent these events were. This museum did an incredible job of helping the museum guests understand how the wars developed, what life was like from multiple perspectives, and gave a glimpse into the post- war restoration. Fascinating. 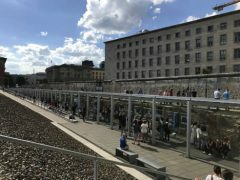 After we went to this museum, we went to an outdoor walking museum against the Berlin Wall called “Topography of Terror.” One thing I learned about Germans is that they are not brief in their explanations. There was quite a bit of reading to do here but every single plaque gave a deeper understanding of Nazi Germany. This museum taught me about how Nazi Germany came about o n a much deeper level. I was curious to see how German society responded to its rough past relating to this topic, so I was interested to see how this museum was very matter of fact about it: they took responsibility and admonished the readers at the end of the museum that since such atrocious things have happened, they can happen again, reinforcing the importance of learning from the past. 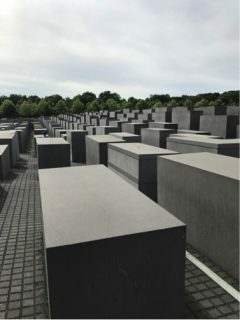 In conclusion, the things that I learned from the German Museum of History and from the Topography of Terror museum have resonated in my mind and have been something that I have shared with many people in conversations since this day, and these are just two of many incredible locations that I had the opportunity to visit! I am so grateful to have had the experience to go to Europe and learn in such an experiential way.